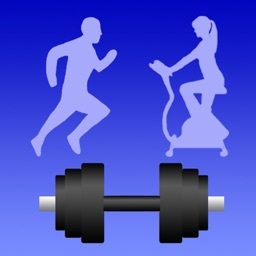 Get a fitness body, gain in health and enjoy your progress with FitKeeper. 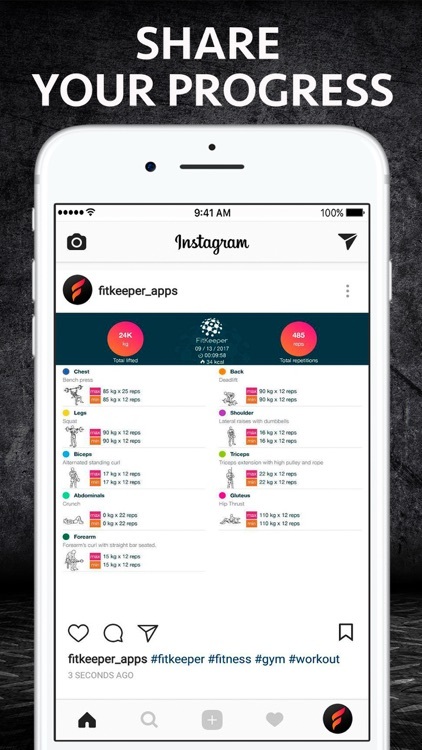 FitKeeper is the ultimate fitness app for tracking your gym workouts. Complete, intuitive and with functionalities that will facilitate monitoring your evolution in the gym and encourage you to continue improving in weightlifting at any level. - Get access to hundreds of exercises graphically explained, described by our experts in health, fitness and physical shape. - Show everybody your progress! Share a summary of your training in the main Social Networks: Instagram, Facebook and Twitter. 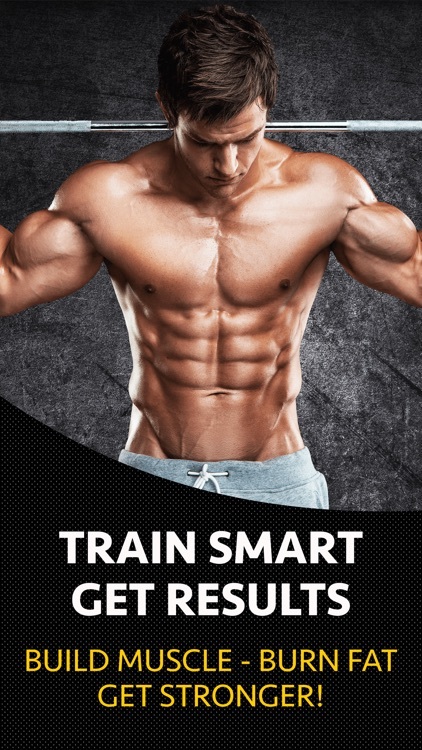 - Measure your transformation in each exercise and muscle group with clear and complete graphics, which will allow you to observe your evolution in the gym in the coming weeks, months or years. 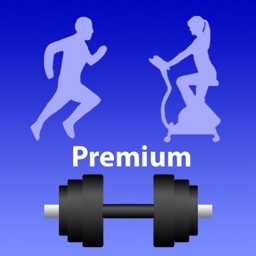 - Apple Health Sync (Body weight and burned kcal). 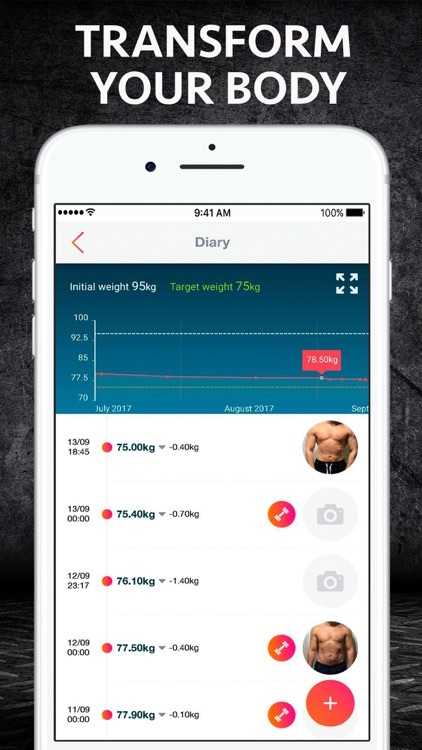 Gain muscle mass or lose weight by improving your body composition through weightlifting training with FitKeeper. - Lose fat or gain muscle and strength with routines designed by professionals, adapted to your intensity level, specific for men or women. 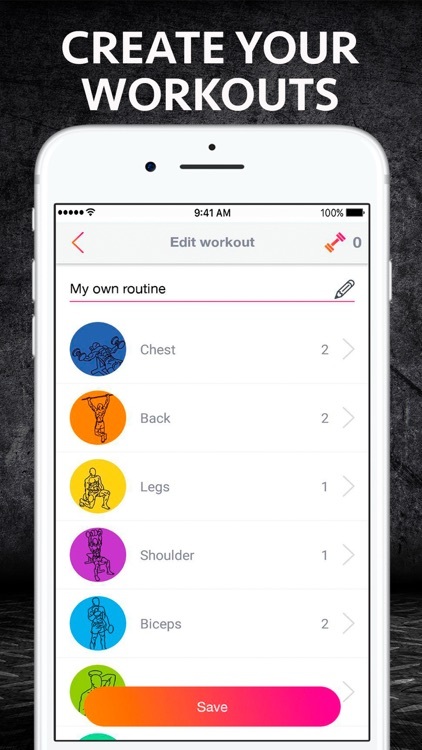 - Use the built-in Calendar to control when you go to the gym and what muscles you train each day. - Get access to the History to see all the summaries of your trainings, and share them whenever you want. - You can finally say goodbye to your notebook! If you spend time registering your workouts differently, don’t worry. With FitKeeper you can add past workouts very easily. 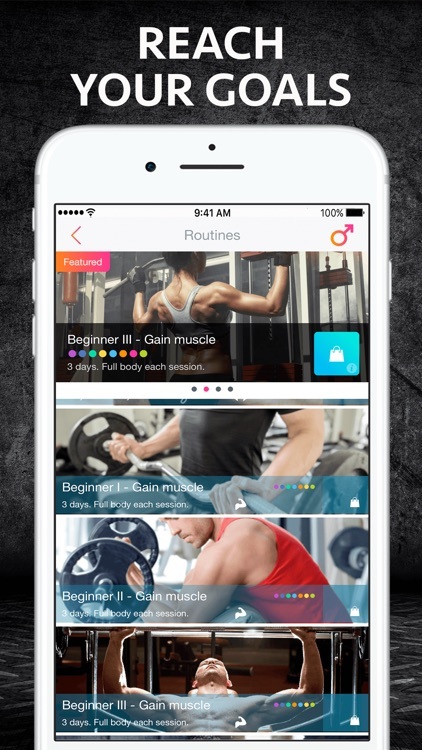 - Register your workouts as you perform the exercises on the fly, or create your own routine in advance with the hundreds of exercises that FitKeeper put at your disposal. - You will always have the last record of an exercise when you enter new data, that way you will always know how much you lifted last time and how many series and repetitions you made. - Add your own exercises in a simple way, give them a muscle group, a photo and record them like any other. 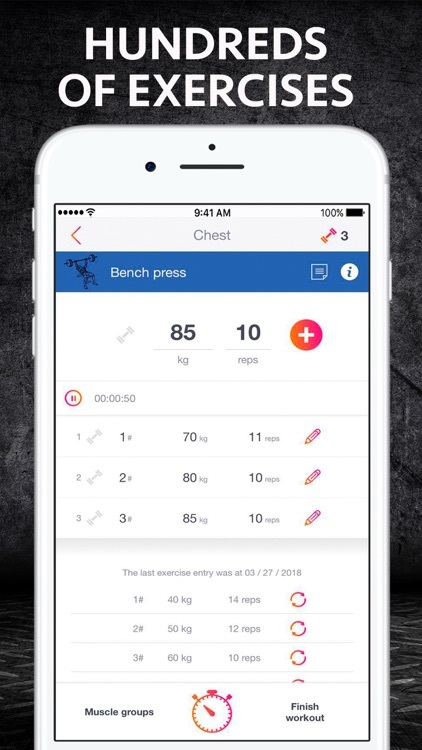 - Control your rest between sets easily and quickly with the timer integrated in the App. 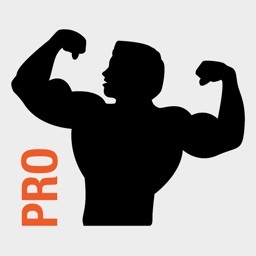 - Add notes to the exercises you track during training. Write down how you were doing on a certain exercise, if you were fatigued that day, and any other detail you consider relevant. -Your registrations can be backed up. Perform a backup periodically and if you change your phone or operating system, you won’t lose anything! 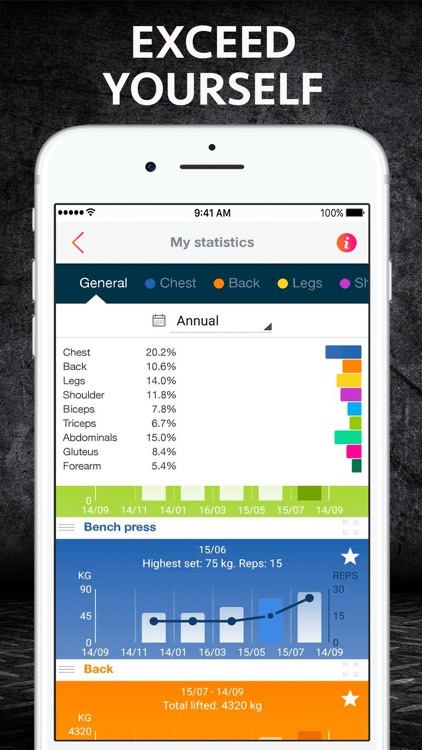 - You won’t find better graphs in any other Fitness App. To keep improving, it is essential to know how you progress over time, and with the graphs of FitKeeper you can see it in detail. You can download FitKeeper for free and enjoy a free trial. We are not going to make any charge to you before, during or after the trial. We work to continue improving and your support is very important for us. We want you to feel stronger than ever! You can decide to be a FREE user and dispose of some functionalities, or you can pay a PRO subscription and unlock all the functionalities. 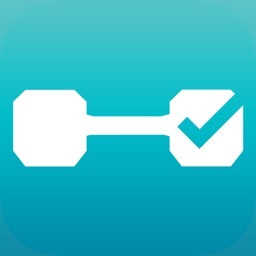 Get a fit body, gain in health, observe and enjoy your progress with FitKeeper. Thank you for trusting us from the beginning, we keep working to offer you the best!